Marc has worked in Nundah since 2001 and years of observing many loyal patients in one place has let him see what works and what doesn’t. His number one goal is to provide the most painless dentistry possible while providing the best quality dentistry he can. 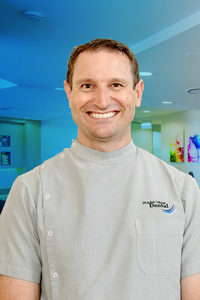 Marc graduated from the University of Queensland in 1991 obtaining a Bachelor of Dental Science degree with honours. He received a double major in Psychology Arts Degree from the University of Queensland in 2002. As a water colour artist, Marc has a keen interest in cosmetic dentistry and in creating natural looking beautiful smiles. He has committed to more than 80 hours of ongoing training per year to gain experience in all aspects of dentistry. He has undertaken training in Invisalign Orthodontics for straightening teeth without wires. 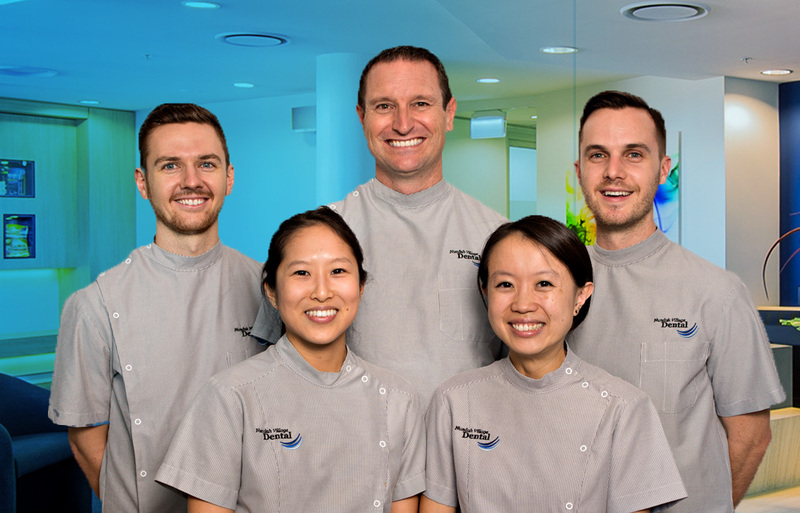 He is a member of the Australian Society for Implant Dentistry and the Australian Osseointegration Society with accreditation in implant placement. He has completed further training in veneers, aesthetics, implants, cosmetic gum surgery, and sleep medicine. He believes that being a professional means standing behind one’s workmanship and always striving to learn and improve. ‘I see patients regularly reaching their 80’s and 90’s and know that they needed a supportive skilled and trusted clinician with a vision to help them reach this age with quality dental health’. Marc has worked hard to create a practice where the atmosphere is fun, friendly and where you feel at home. He grew up in Roma where his father, uncle and brother all worked as dentists. Patients regularly comment on the fun and relaxed atmosphere and care and attention to detail given to them at Nundah Village Dental. My passion in dentistry lies in achieving a predictable, stable and lasting solution that meets my patients needs and goals without surprises. I enjoy seeing these healthy smiles return for review and simple maintenance over time. Jacob graduated from the University of Queensland, and has been very well received by both our new and existing patients thanks to his gentle approach and caring personality. 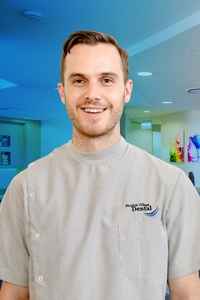 Jacob believes that prevention is the best treatment, and strives to help his patients understand why dental problems may occur, and then working together with them towards achieving a stable and healthy smile. He believes that it is important to listen and understand the needs of each of the patients and families in his care, and feels as though a healthy, happy mouth is achievable and maintainable for everyone. Coming from a large family, Jacob is comfortable relating to both adults and children, and recognises the priorities and challenges that present at different ages. He always allows time to explain treatment options and what to expect with procedures, putting his patients at ease. Whether your appointment is for a regular 6-monthly visit, routine or emergency treatment, Jacob will take the necessary time and care to ensure that you are as comfortable and relaxed as possible. 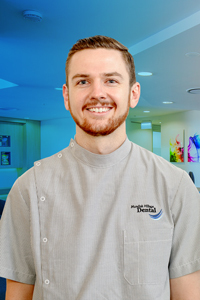 Jacob enjoys the diverse nature of working in general dental practice, and is excited about the direction that modern dentistry is heading. He aims to provide the highest quality care possible to his patients, and is constantly improving his skills through continuing education in all areas of general dentistry and particularly in new treatment options, materials and technology. Jacob has lived locally on the North side of Brisbane for most of his life, and outside the practice, he spends a lot of his time outdoors maintaining a handful of hobbies with friends and family when the weather (or surf report) is favourable. Jacob also plays football for his local club. When a patient comes to see me, my goal is to make sure their concerns are listened to and that they feel that they are in a safe, comfortable environment. For a lot of people coming to the dentist is a scary thing, and I want to try and alleviate that anxiety so that we can work out a plan that leaves the patient feeling like they are the very best version of themselves. David Graduated with a Bachelor of Science from UQ in 2010 and studied dentistry at the University of Sydney graduating in 2015. Before moving back to Sunshine State and joining our team David worked for NSW Health at Westmead Hospital, where he treated a wide range of patients from young children to the more elderly. He also has experience treating patients with special needs, medically compromised patients and extremely anxious patients. David understands that for many people coming to the dentist can be an unpleasant experience, so he endeavours to make every patient visit as comfortable as possible. David has seen first-hand what delaying treatment, often simply due to a patient’s anxiety, can mean. A delay in treatment will often impact on long term prognosis of that tooth, and lead to a more time consuming and expensive treatment, more pain and discomfort for that patient. Given this David has completed extra training in Nitrous Oxide sedation and is qualified to use that when needed or requested for any patient, particularly those who are a little bit anxious. David enjoys all aspects of dentistry and tries to take a preventative approach where possible. He strongly believes in educating his patients about the importance of home care maintenance, as whatever he does in the dental chair needs to be complimented at home with twice day brushing and regular flossing. David believes that communication is imperative to the responsibilities of a dentist and always aims to clearly and adequately explain things to his patients in a manner than is easy to understand. David also has a particular interest in endodontics (root canals), as he like the methodical and often challenging nature of them. When David is not at work he enjoys cooking, reading, running and spending time at the beach. As a dentist, my passion is changing the experience of sitting in the dental chair. I want everyone to feel comfortable, and confident that they’re receiving honest and high quality care that is personalised to their individual needs. It’s the same care and respect I would expect when I see a dentist. Hanh completed her Bachelor of Dental Science at the University of Queensland with First Class Honours. Prior to starting her dental degree, Hanh obtained both a Bachelor of Science with a major in Neuroscience and a Bachelor of Oral Health from UQ. We gladly welcomed her to our team in 2018. Previously, Hanh worked as a qualified oral health therapist, where her focus was on treating young patients both in the school dental system and in private practice. Being a Brisbane girl, Hanh recalls the school dental van days and endeavours to start the journey of “going to the dentist” on a positive note for all children – and adults! Having worked in the dental industry for many years, Hanh has developed a drive for providing ethical and quality dentistry. Hanh has a strong focus on prevention and enjoys the challenges of restoring both the teeth and supporting gum tissues back to health and function. Her heart lies in helping our patients feel at ease, while providing professional and friendly care. Hanh treats her patients like she would her friends and family, as she believes everyone deserves the utmost respect and care. Hanh takes pride in being thorough and takes her time to ensure your dental care is tailored to you. When Hanh is not behind the dental chair, she enjoys cooking new plant-based recipes, stretching out with some yoga and exploring new hiking trails – both locally and abroad. My favourite aspect of working as a dentist is that I get to meet new people every day. I value my time with patients and aim to actively listen to truly understand their needs in order to achieve the best possible outcome. Stephanie completed her degree in Dentistry at James Cook University and was fortunate enough during her studies to gain clinical experience in Cairns, Darwin, Thursday Island and Townsville. Stephanie thoroughly enjoyed her time in each of these locations and ensured she immersed herself in the culture and explored the local sights. After graduating in 2014 Stephanie applied for one of fifty graduate positions available in Australia and was successfully placed at the Ipswich community Dental Clinic. As a new graduate this role offered Stephanie invaluable clinical mentorship and case studies. After completing her graduate program Stephanie moved to Hervey Bay where she has worked at both the Queensland Health Dental Clinic and Private Practice. At the Queensland Health Dental Clinic, Stephanie spent one day a week dedicated to seeing school aged children and visiting the school dental vans. As such, she has had extensive experience working with children. She also supervised dental students from the University of Queensland whilst they were completing their clinical training. Despite the sea changes Stephanie has been fortunate to have, being born and bred in Brisbane, Stephanie knew that moving back to be with family and friends was always on the cards. 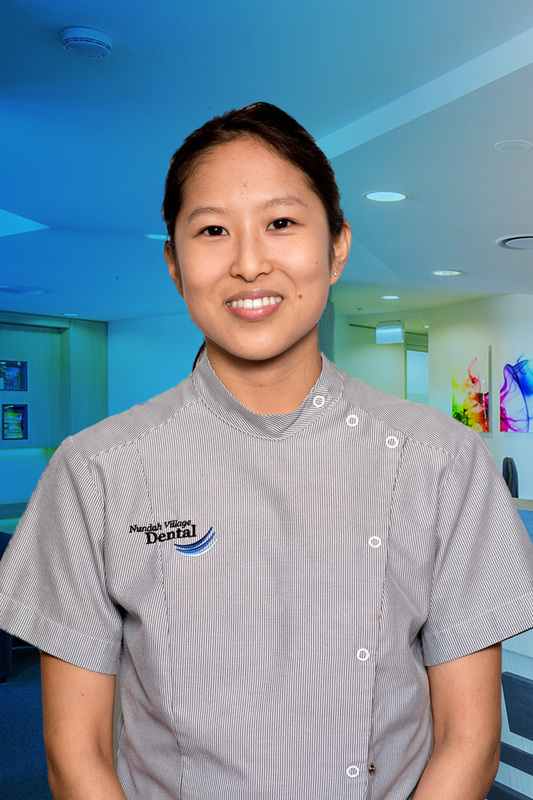 Stephanie is excited to join the team at Nundah Village Dental, who share her views on preventative dentistry and ensuring the patient’s experience at the dentist is as enjoyable as possible. Stephanie endeavours to provide the highest quality treatment to her patients so she regularly attends dental conferences and keeps up to date with relevant dental research. 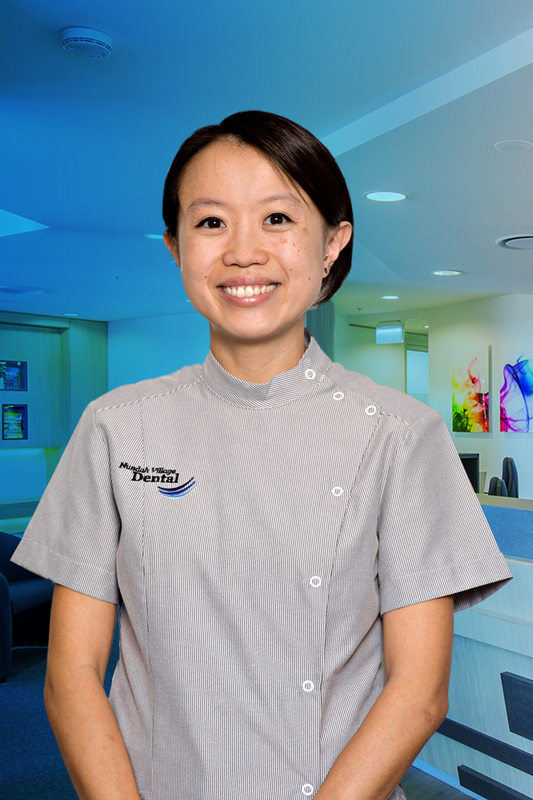 She is a member of the Australian Dental Association and has volunteered as a dentist with Tzu Chi Medication Association and the National Dental Foundation. In Stephanie’s spare time she is usually planning her next meals to cook or trying out a new fitness trend. Stephanie is currently trying her hand at CrossFit, and has tried everything from gymnastics, aerial hoop and reformer Pilates. My passion lies in helping people and providing high quality care. I like nothing more than creating a plan to help patients achieve their goals, whether someone is embarrassed to smile and needs complex rehabilitation, or just preventive strategies aimed at avoiding the need for this kind of treatment. Hanh completed her Bachelor of Dental Science at the University of Queensland with first class honours. Prior to starting her dental degree, Hanh obtained both a Bachelor of Science with a major in Neuroscience and a Bachelor of Oral Health from UQ. We gladly welcomed her to the team in 2018. Previously, Hanh worked as a qualified oral health therapist, where her focus was on treating young patients both in the school dental system and in private practice. Being a Brisbane girl, Hanh recalls the school dental van days and endeavours to start the journey of “going to the dentist” on a positive note for all children – and adults!